If I saw a lion walking down the street, I would probably hide or run away. Not quite sure I would be fast enough. 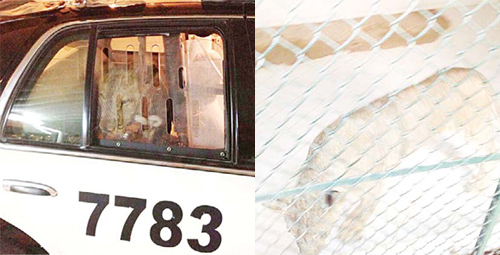 A brave man from Kuwait was able to lure the lion into his car and called the police for help. The lion, which police said was young adult, filled the backseat. Police are seeking the owner of the lion. It is believed to be someone who was illegally rearing it is a pet. Sad for the lion, but what a brave man! I hope it's a happy ending for all.... except for the person who had the lion illegally.